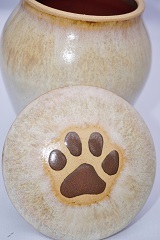 visually stunning and as with any artwork, can be interpreted differently by different people. 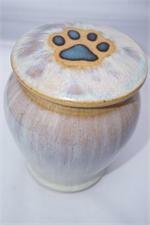 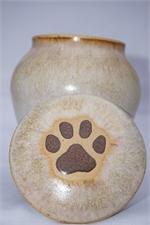 The inside of the urn is the same color as the pawprint. In your choice of blue or brown. 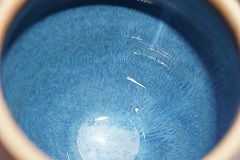 Capacity: Up to 30 cu.in.